A friend and I were discussing why relatively few educated people are believers and why disbelief seems to increase with education level. Being my closet atheist self, I was pretending to play devil’s advocate in taking an atheistic viewpoint. My friend made the grave error of bringing up Solomon, saying that Solomon was the wisest person to ever live, and that HE was a believer, citing Ecclesiastes 1:16-18 as a frame of reference (why I don’t know…it didn’t help him any…a case of cherry-picking, I suppose). I simply reminded him that Solomon was merely pointed out that being wise (i.e. educated for our purposes) was a heavy burden compared to being simple (i.e. uneducated), my point being that education carries with it a great deal of responsibility while ignorance allows you to keep life much more simple (if you call the real handicap of ignorance simple, but that’s another matter…I think we all get the point). (Note: I don’t think anyone would deny that education makes one more responsible just by the very power that it gives you over others. Higher ethical standards are a must for those with more education…just please don’t get your morals from the bible). He countered by saying (and I was waiting on this…he fell in my trap), that Solomon tried all these things to be an example to us, but that he still made his way back “home” to god, acknowledging that god was the only way that one could have any real happiness. I informed him that, as a matter of fact, Solomon did NOT return to god, according to this bible that is allegedly infallible. The last you hear of him in the bible, ol’ Solomon is enjoying (many) foreign women and (several) different idols. I said that the (alleged) smartest man to ever live, that allegedly communicated directly with god, that allegedly received his wisdom from god…the man that had ALL that…still didn’t believe in god enough to fully obey him! This man…allegedly, the smartest ever…had insider information and contact with god, but still chose unbelief! (Ponder the implications there, dear Christian). His only reply (to his credit) was that what I said was very true, and that he wasn’t thinking of that. The conversation ended there…him with a troubled look on his face, me inwardly beaming. (Lest you think I was picking on him, I was not. He is college educated and very smart. He could handle this conversation, because he’s a very liberal Christian and former atheist). Now, I don’t believe in Christianity or the bible, nor do I think that either carry any wisdom nor, indeed, anything very worthwhile, but they can be useful to show christians just how crazy their beliefs truly are. They think Solomon is the wisest person ever…and yet he didn’t believe! That should tell you something right there, christians. It’s no wonder they’re against secular education, except when it suits them. 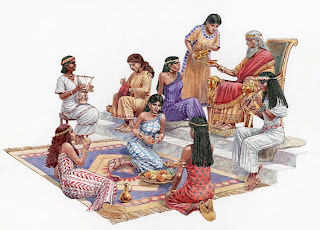 The very flagship of their wisdom was a non-believer, but many are so ignorant of what they believe that they think Solomon was a believer when he clearly was not. Rational education and religion are fundamentally at odds and always will be. Dear misguided Christian, Solomon did not believe, and neither should you.